We can all relate to that especially since we know how quickly technology changes. But when do you think that sentence was written? It was actually the first sentence in this 1901 trade catalog by American Writing Machine Co. 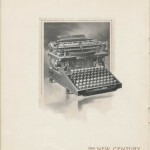 The catalog advertised the New Century typewriter. The Book of the New Century begins by discussing how machinery grows old quickly and loses value, both commercially and industrially. 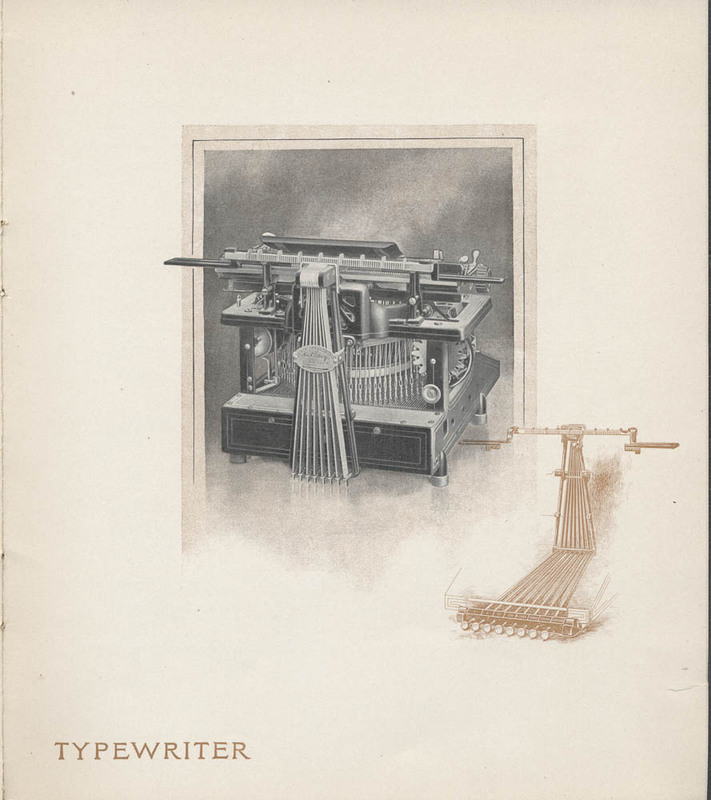 The catalog then goes on to describe the features of the New Century Caligraph, or typewriter. One feature of the New Century was its double keyboard. This meant there were separate keys for lower case and upper case letters. The lower case letters were located on the bottom three rows just above the space bar while the upper case letters were located above that on the next three rows. For a diagram of the keys, take a look at this page from the catalog. The typewriter’s keys were made of mineral ivory and arranged in diagonal lines to fit different lengths of fingers. Of course, the major use of the New Century was to type correspondence, but it could be adapted for other uses just by adding the appropriate attachment. One attachment was the Card Attachment, a strip of metal running along the platen firmly attached at either end. It could easily and quickly be removed when ready to return to regular typing. The Card Attachment was useful for many different businesses–banks and utility companies to make lists of customers, hospitals and doctors for typing case records, and even libraries for cataloging books. Another attachment was the Gorin Tabulator which assisted people with typing invoices, statements, and statistical tables. When attached, it did not interfere with the typewriter’s regular functions. 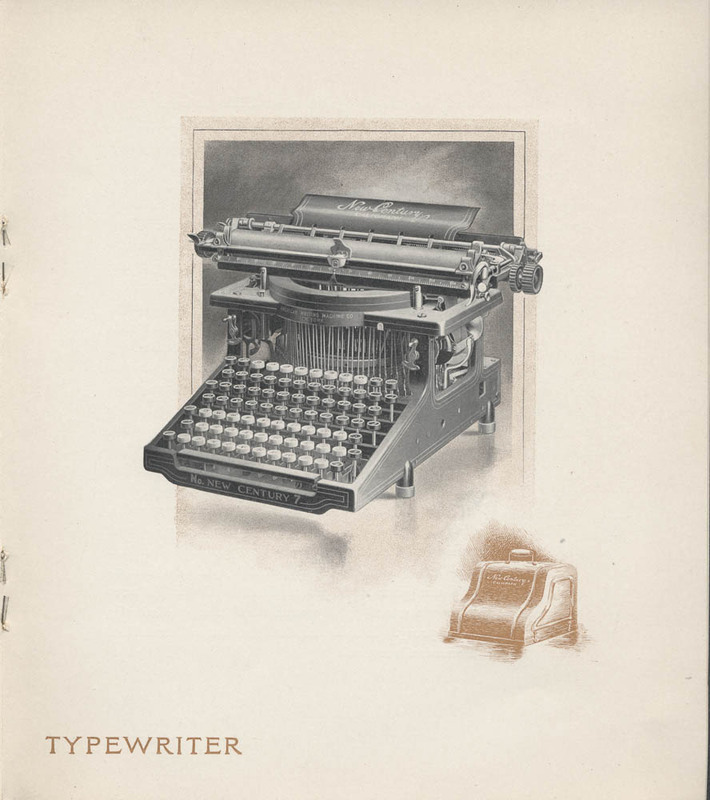 Take a look at Galaxy of Images to see more images of the New Century typewriter or to read more about its features. 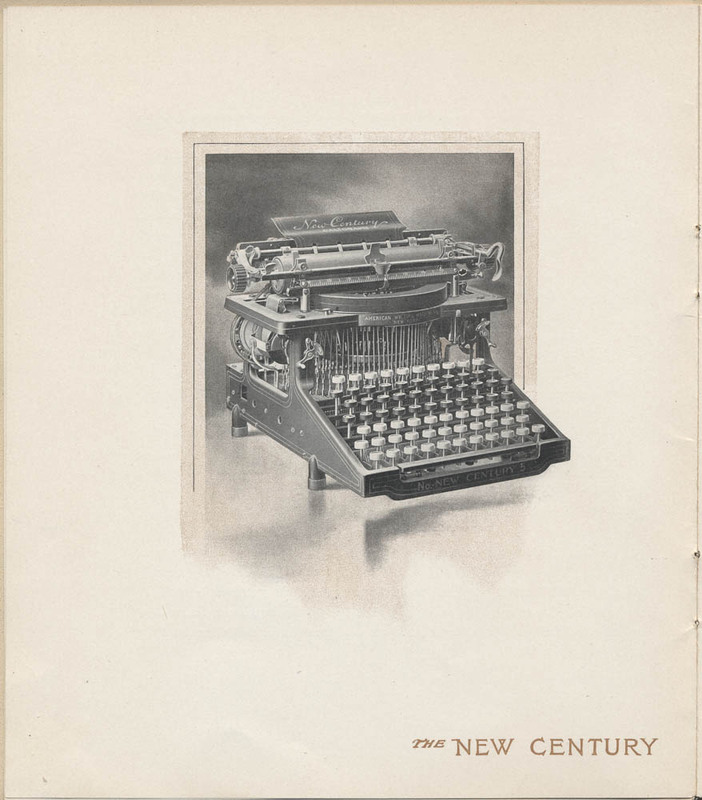 The Book of the New Century and other catalogs by American Writing Machine Co. are located in the Trade Literature Collection at the National Museum of American History Library. Previous Post Join us for Preservation Week! Next Post New paid summer internship just announced! Great article and very interesting. I love old machinery and often times try to replace modern day items with those from the past. A typewriter is a good example of this.